One of the defining features of the Pixel 2 and Pixel 2 XL was the "Now Playing" feature which automatically identified any music blasting around the phones, even when they are fast asleep and not actively used. Google did the smart thing and logically included the handy feature on its fresh new Pixel 3 and Pixel 3 XL flagships, but you'd be wrong if you think "Now Playing" has been left unchanged. It will keep tab on all of your identified tunes in a neat history log, which was surprisingly missing in its first rendition on the Pixel 2 and Pixel 2 XL. Needless to say, a very nifty addition: imagine you're at Starbucks, and an absolutely divine cacophony of sounds blasts softly through the venue's audio system, and if you don't quickly memorize or search the title of the song alongside the artist, there's a high probability you will end up forgetting the track's name. 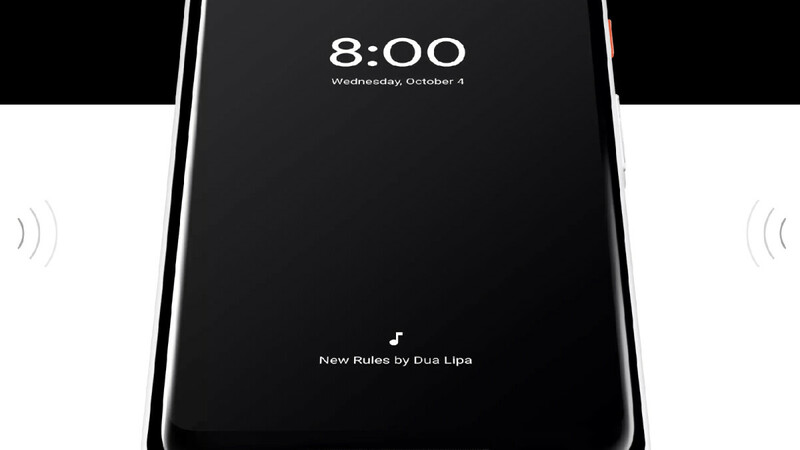 Such a scenario is highly unlikely with the Pixel 3/3 XL, as both will keep track of all identified songs. It seems all identified songs will be available in a new "Now Playing History" shortcut, which will list all tracks as well as the time and date of identification and the ability to scrobble them to Last.fm, play the song in a trove of music players, and so on. The jury is still out whether this feature will remain a Pixel 3/3XL-exclusive, which would be quite the anti-user practice, or trickle out to the Pixel 2/2XL. Then you might want to stop using a cell phone. That's been the case for quite a while now. Every phone is always listening against our will. Even worst the cameras watch without us knowing as well.